Washington became the seventh state in 2015 to approve an increase in their state gas tax, joining Idaho, Iowa, Georgia, South Dakota, Utah and Nebraska. On Aug. 1, a 7 cents-per-gallon increase went into effect state-wide, with the remaining 4.9 cents of the 11.9 cents-per-gallon approved increase expected to take effect on July 1, 2016. The increase, along with a rise in transportation-related fees, will generate $16 billion in new revenue over 16 years in order to pay for state transportation infrastructure maintenance and modernization. But a look at the effect on retail pump prices showed that despite the increase, prices continued to slide along with the national average retail price. Data from AAA’s Daily Fuel Gauge Report and from Oil Price Information Service (OPIS) showed the price of regular gasoline in Washington state on July 31, the day before the increase went into effect, was $3.182 per gallon, while the price on Aug. 6 was $3.163 per gallon, a decrease of 1.9 cents. At the same time the national average price fell 4.2 cents, according to AAA. Of the six states that raised their gas taxes on July 1, only one—Idaho—showed an increase in prices by early August. Idaho gas prices rose less than 1 cent from July 1 to Aug. 6, data showed. The five other states—Georgia, Maryland, Rhode Island, Nebraska and Vermont—all showed large decreases in prices, most of those in line with the 14-cent decrease in the national average price of gasoline over the same timeframe. Both Georgia and Vermont showed decreases larger than the national average drop. The data once again confirms that a gas tax increase does not translate to a penny-for-penny increase in the retail price paid at the pump, keeping in line with a recent ARTBA analysis that shows only a percentage of the levy is passed on to motorists. The “Pump Shock” study tracked the market impact of five state gas tax increases enacted in 2013, noting the retail price for a gallon of regular gasoline the day after, one month after and one year after a state gas tax increase went into effect. The research found that, on average, the price for a gallon of regular gasoline the day after a state gas tax increase goes into effect only reflects about 22 percent of the new levy. A month after enactment, only about a third of the levy shows up in the pump price. And, one year after enactment of a state gas tax increase, the average price for a gallon of regular had dropped, on average, 3.7 percent below the market price the day before the tax increase went into effect, larger than the drop in the average national retail price for the same time period. 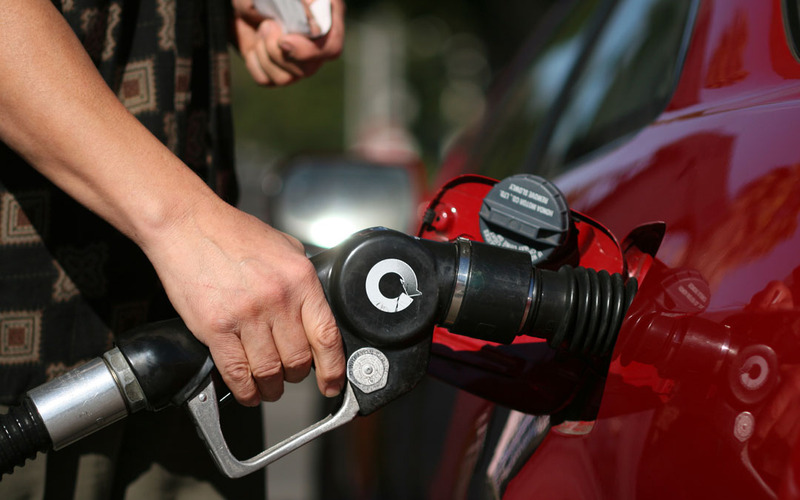 AAA said gasoline prices this August were at their lowest average for this time of year since 2009, noting prices on Aug. 6 were 86 cents per gallon less than a year ago. The group also expects prices to continue to drop to catch up with the recent decline in the cost of crude oil. “Drivers could see prices drop another 15 cents per gallon in the near term if oil remains stable and refineries operate at current production levels, and could drop even further if oil continues to fall and gasoline supplies grow this month,” a website update said.